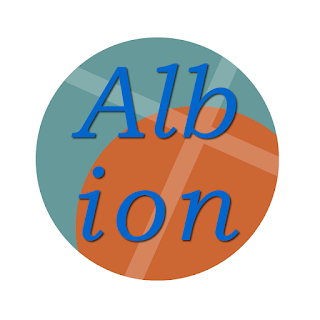 Our fictional Bishop seeking appointments to the Albion group had something of a surprise when the updated Electoral Roll figures came in on Thursday Night! So it is time to drop that façade and look at the results. Firstly disclosure. I happen to a member of the Labour party. I happen to be a Christian. There is a link between my politics and my faith but it is not an exclusive link. In my last parish I worked with Victoria Prentis, I congratulate her on her election to parliament in Banbury. Another old friend Michael Beckett stood for the Liberal Democrats in Scarborough & Whitby, although with the collapse of the Liberal Democrat vote he came in fifth. I started my interest in politics as a member of the Conservative Party and of John Redwood's Conservative 2000 group - I idealistically believed that a freer market would lead to prosperity for all. I have been a member of Compass and more recently interested in the thinking of Philip Blonde (Red Tory) and Maurice Glasman (Blue Labour). I believe that it is right and proper that lay and ordained Christians are members of political parties and are open and honest about their membership and views. I can also see how a slight shift in my thinking would push me towards One Nation Conservatism. The Conservatives increased their share of the vote by 0.4%, and the Labour Party by 1.4%. The Labour vote increased despite the SNP increasing their share by 3% , and the Green Party increasing theirs by 2.9%. The Liberal Democrat vote collapsed and UKIP's share of the popular vote quadrupled - taking votes from all the major parties. Right of centre parties (excluding the Liberal Democrats) received just over 50% of the national vote. Left of centre parties (excluding the Liberal Democrats) received just over 40% of the national vote. In terms of seats right of centre parties (excluding the Liberal Democrats) have just over 50% and left of centre parties (excluding the Liberal Democrats) have done rather better than their share of the vote - 45%. Although our first past the post system benefits regional parties and penalises smaller national parties, it has delivered a government that is in line with the political views of the British people, which balance on a knife edge of our national (and probably flawed) understanding of left and right. So what of the Liberal Democrats. Where did their voters go? The Liberal Democrats have a right of centre tendency to which many members of the coalition subscribed. Many Liberal Democrat voters voted so as a soft alternative to the Conservatives. This election they may have decided to vote Conservative instead. In this case the smaller Liberal Democrat vote represents the left wing of their base. Alternatively it was the left of the Liberal Democrats that voted Labour or Green and it is the right wing of their base that stuck with them. Where the Liberal Democrat vote went is crucial in discerning the balance between left and right wing visions of society and the economy across the nation. If the Liberal Democrat vote is a vote for the centre right then the British left has a huge amount of work to do in winning the popular vote. If the Liberal Democrat vote is a vote for the centre left then popular support between left and right is much closer, and a swing to the right by the Conservative government could be sowing seeds of a defeat in five years time. The reality is probably more complex, but my gut feeling is that the latter holds (the remaining Lib Dem vote is centre right) and that almost 60% of the electorate at present tend towards the right wing of our our political spectrum. However my gut feeling is also that the majority of the electorate expect a level of public services that right wing economic policy will struggle to deliver over the next 5 years. If the Conservative government can deliver a strong NHS, outstanding education for all, working benefits, and a good safety net, whilst reducing borrowing and taxation and building a growing economy I am prepared to eat a range of clothing. If I believed they could I would join the Conservative party. But for the sake of the nation I want them to succeed. The Labour party meanwhile needs a leader committed to the same goals and able to communicate to the electorate that this is what they would achieve in government,whilst showing that sometimes borrowing for growth is akin to investing in our home through increasing a mortgage and that paying taxes is an essential part of our citizenship. Hard work also needs to be done on the effect that growing inequality is having on global capitalism whilst working in partnership with business and ensuring that our common wealth is distributed to those who will make the best use of it. In the meantime the Church must continue to support members in all mainstream political parties and be prepared to support and speak for the most vulnerable members of society. It may be that we have to take roles that we believe that state should do in the coming years if David Cameron's plan falters, whilst continuing to speak clearly about our shared responsibility as a society.